The cards, featured in the James Bond movie Live and Let Die, depict dreamlike fantasies with bold colors and fanciful paintings. The style takes its influence from the surrealist art movement. This classic deck has been in print since 1973. Includes spread sheet and 24-page booklet. I personally love this deck and it is one of the most frequently used decks for my personal readings. I love the fact that the cards were painted with oils on canvas; the colors are incredibly rich and vibrant and there is a depth and solidity to the images that is rare. 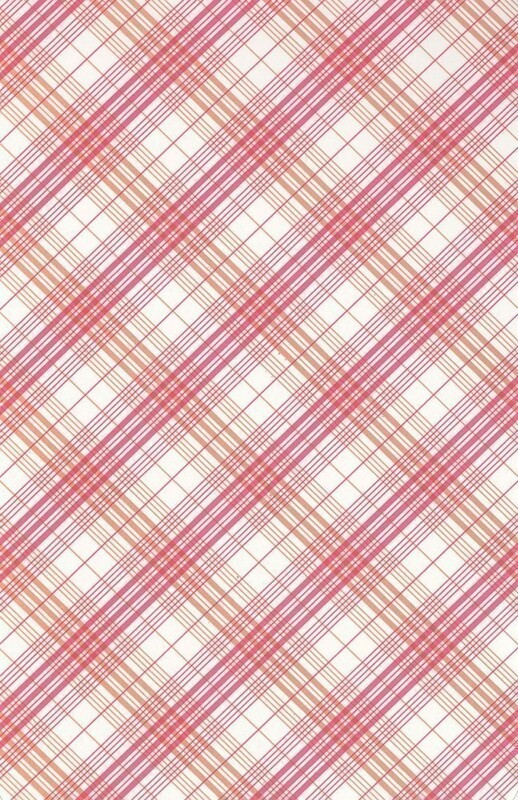 There's something psychological here for me as an artist - these feel like the sort of images I would encounter in an art gallery rather than straightforward commercial illustrations. To me this is as much of an art tarot as it is a working deck, which makes me feel good when I handle the cards. Unlike many of the esoteric decks that are imbued with either breathless solemnity or an almost religious conviction, this one manages to do full justice to the depth and meaning of the age old symbols while somehow not taking itself too seriously. The characters on the cards have a dark, almost camp wit with a slightly sinister edge to them. Everything is wildly out of proportion and ethereally colored yet somehow it all works. If anyone asked me why, I really couldn't say, but the humor in the pictures seems to conceal but invite you to look deeper in the same breath. I would thoroughly recommend the accompanying Tarot of the Witches book by Stuart R. Kaplan. 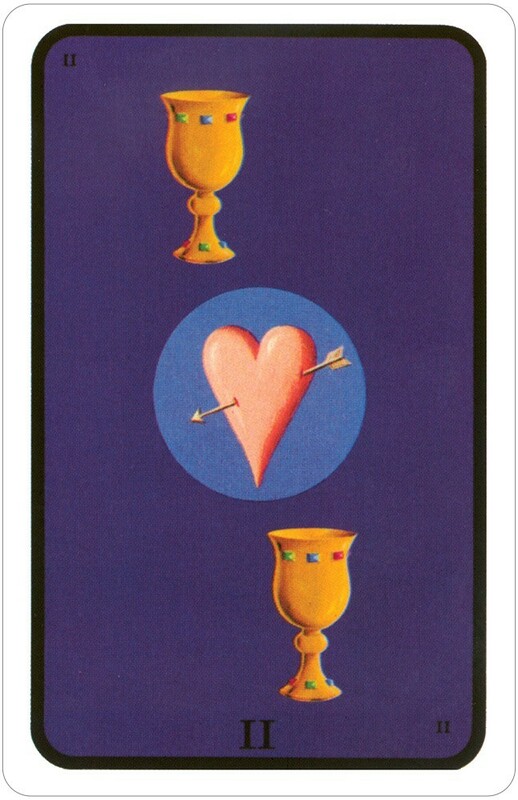 This gives detailed descriptions of the Major cards and the artist's thinking behind them. Reading this greatly enhanced my appreciation of the deck and its sheer originality. This delightful deck has unfortunately been misnamed and mismarketed throughout its existence. It has nothing to do with James Bond or witches but has everything to do with Fergus Hall, the idiosyncratic artist who painted the deck. 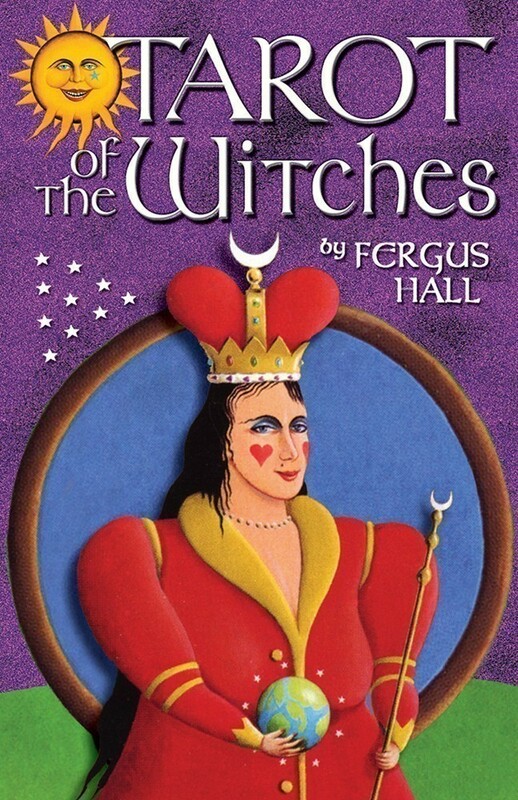 It should be called simply the Fergus Hall Tarot. Hall got his start doing carnival paintings and that freaky bizarro style shows in this deck. Unlike most 20th century decks, Hall's deck is free of occult or pagan mumbo jumbo and yet is rich in subtle symbolism, such as the mysterious black birds and orange cats that appear on various cards, and the mandala type designs in the center of the pip cards. The books held by the hanged man and hermit contain original poems. (Can't read them? See Stuart Kaplan's companion book). The art is very expertly done and yet is so whimsical and unassuming it's easy to take for granted. 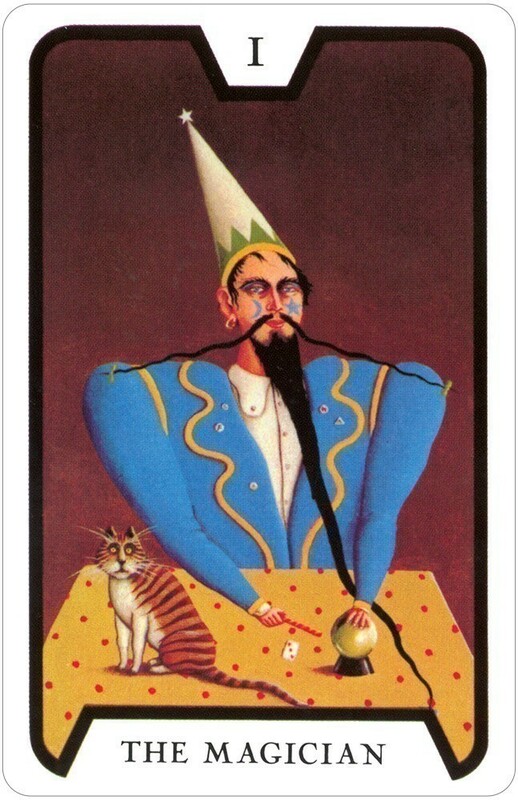 The World card is one of the best I've ever seen, downright haunting. 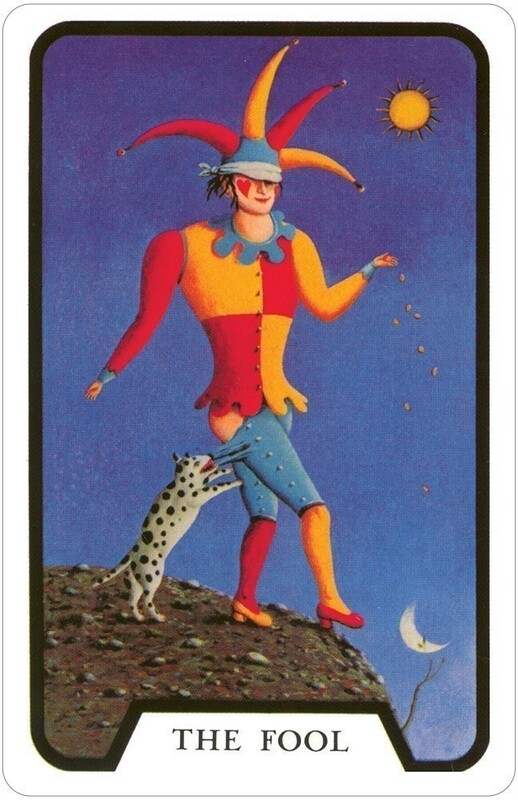 This is a very profound deck but at the same time doesn't take itself too seriously. 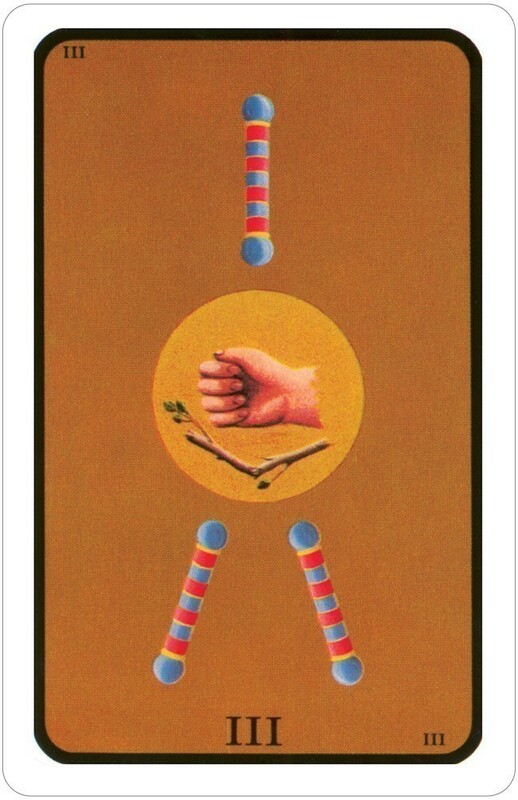 The pip cards are a welcome return to tradition, using the original suits of cups, swords, batons, and coins rather than the recently introduced "wands" and "pentacles" which many mistakenly consider authentic. Also, as in traditional decks, the pips are unillustrated save for Hall's central mandalas. In my opinion, unillustrated pips leave more room for the reader’s own imagination and insight. A perfect blend of tradition and creativity. You might find this deck puzzling at first, but stick with it. There's an entire little world in every card! These tarot cards should really be known as the Fergus Hall deck. Many people are familiar with this deck due to its use in the James Bond movie, "Live and Let Die". But it is far more than that. 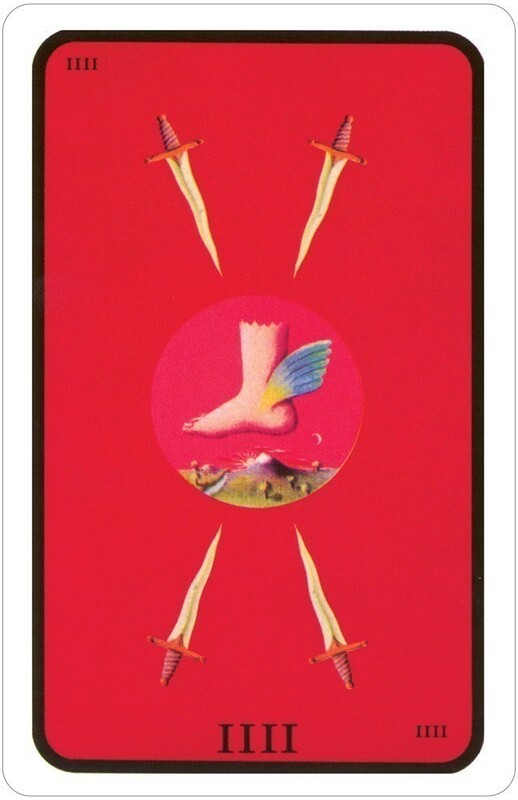 Abandoning all efforts to reproduce the Rider Waite Tarot, Hall has created a deck with some of the most surreal, yet highly mystical art ever seen on Tarot cards. Those who are familiar with Tarot cards know that many different interpretations of cards are possible by seeing the imagery on the cards. Hall's imagery isn't for everyone, but I believe the art really draws you into readings in a whole new way. I have also found this deck invaluable for dream interpretation. 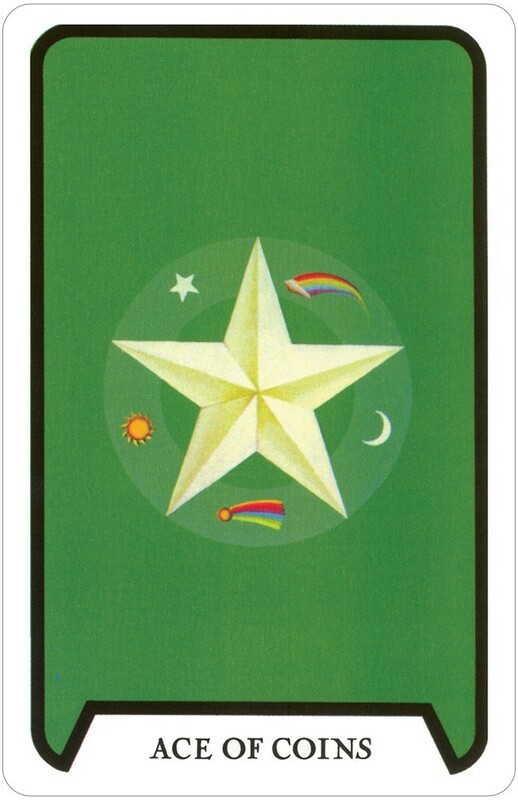 The Minor Arcana return to the old "pip" system. One of my higher recommendations if you are already doing readings for others. I think this deck is absolutely wonderful. You have to use your own imagination and find your own meanings to the symbolism...which in my opinion is what tarot cards are all about. For those of you who want a deck that lays out plainly what the cards mean, then this is not for you. If you have a good imagination and enjoy the type of artistry used in this deck you wont be disappointed.